Score:3, Insightful (Again, I'm at this.) The anime wasn't too bad, but a lot of the plot seemed really rushed for the anime since CLAMP jam-packed a lot of info into the 8 volumes of the manga. The manga itself, from what I remember of it, is kinda "enh" since none of it was horribly memorable (and the fact taht i only read it once). There's also the heavy symbolism overtone that gives the series the sort of darkness to it... Basically, Japanese call a "PC" (personal computer) a "perso-com" and because there's ruined relations here and there because people "fall in love" with their PCs... More so that people pay more attention to their PCs than the person they're in a relationship with. 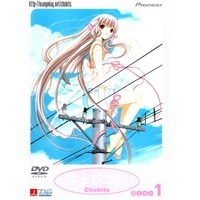 The whole point of Chii's character is (put aside that weird program thing) that she is the model of how people should be with their PCs, which is that you can't romantically fall in love with your PC since it doesn't have sentience (normal perso-com in chobits, because Chii technically is sentient), and that physical consummation isn't real consummation since it's only one-sided (hence why Chii's switch is placed where it is). Darkness aside though, it's one that gets you thinking a bit if you understand the symbolism and what's actually going on.